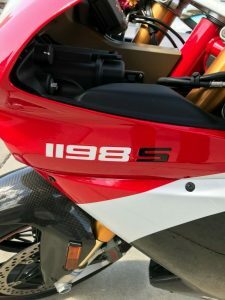 Ducati's 1198 got the last 100cc that the 1098 promised, and the S's 170 hp made traction control standard ( and required ) equipment. This Limited Edition #50 comes to you in Corse colors and excellent condition. 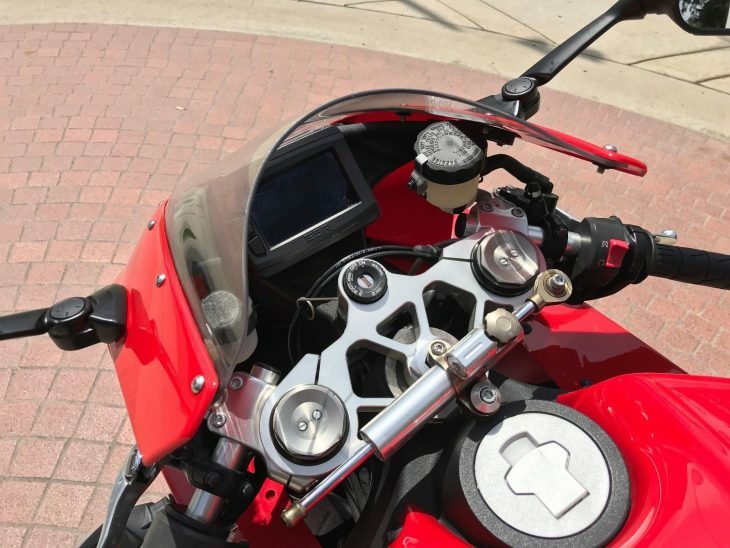 Ducati returned to the 916/996 side-by-side headlights with the 1098, in a slightly swept-back and cat-eyed way. The 1198cc testastretta EVO adjusted valve angles which improved running and allowed valve adjustments to be extended to 12K miles. Some interesting race-derived parts are on board, like the magnesium valve covers, eliptical throttle bodies, and short-skirt pistons. 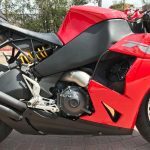 The 1198 kept the dry clutch while the more streetable 848 went wet. 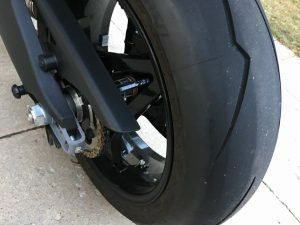 Brembo brakes are XL at 330mm, and Öhlins suspension is multi-adjustable. 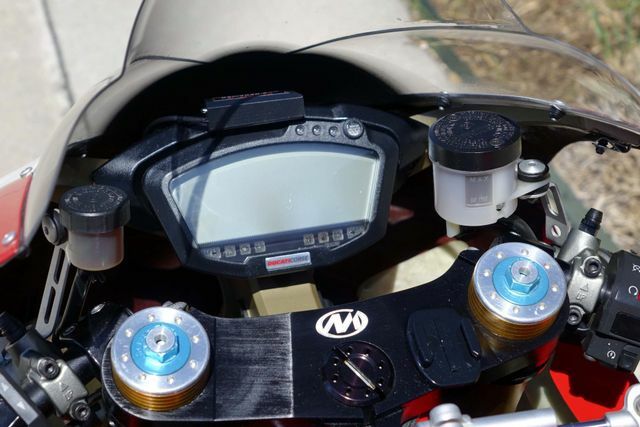 Electronics are track-oriented with an on-board data analysis package and eight-level traction control. In mint condition. Adult ridden. Always garage stored. New battery. 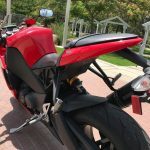 If you have never owned a Ducati superbike, let me assure you they are the most powerful and "torquie" machine you will ever ride. 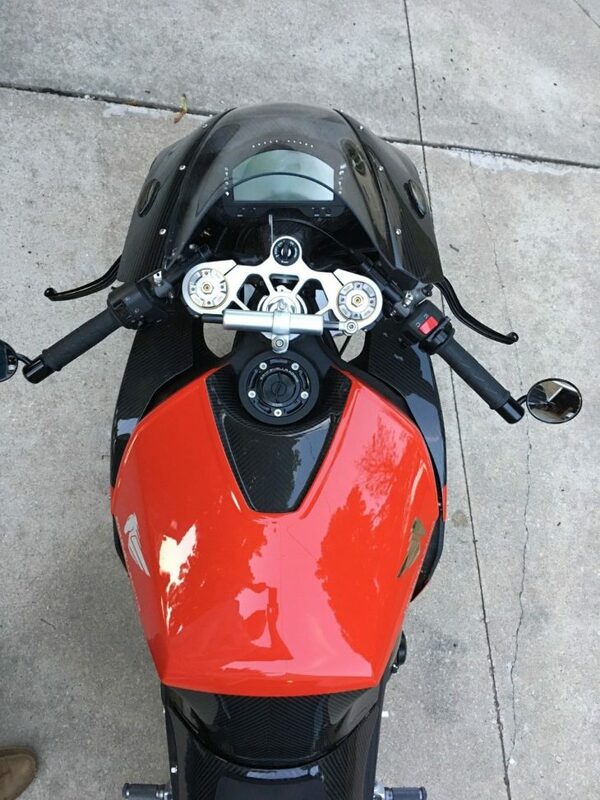 I have owned many metric superbikes over the years and none come close to the amount of fun and power this bike possesses. Italy has a reputation for incredible cars and motorcycles and this one will not disappoint. No test rides, but Ill be happy to run her and show you everything works great. This is the special edition with all the bells and whistles offered. 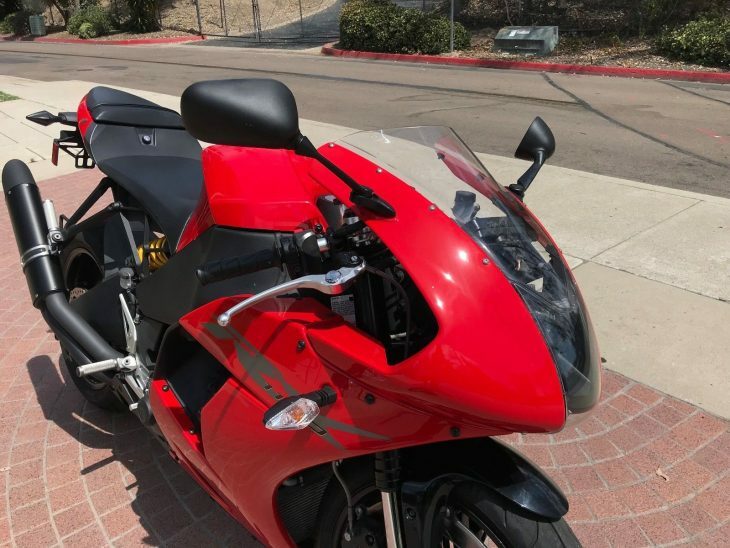 It comes with factory alarm system, tons of carbon fiber, aluminum tank, racing adjustable suspension, Ducati 7 step traction control, original manuals, the list goes on and on. 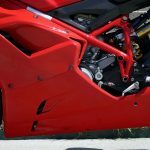 The monocoque Panigale was right around the corner, so for a trellis-frame superbike, the 1198S can be considered a high peak. If an inspection bears it out, this one is basically just broken in. And while it might be a hoot on just the right road, a track day is really a better place to learn the intricacies of a Ducati Corse. 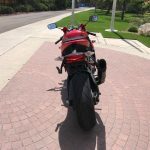 With mid-size car power and somewhat lighter weight, BMW's K1300S jumped onto the bus headed for the dragstrip with the Hayabusa, ZX-14, VFR1200F, and Triumph Sprint GT. 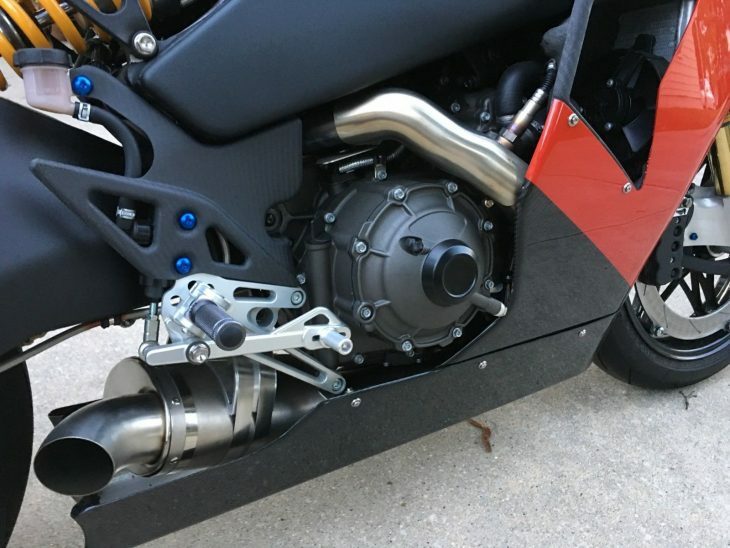 The rare HP limited edition upped the ante with titanium Akrapovich exhaust, and everything that wasn't electronically adjustable was carbon fiber. 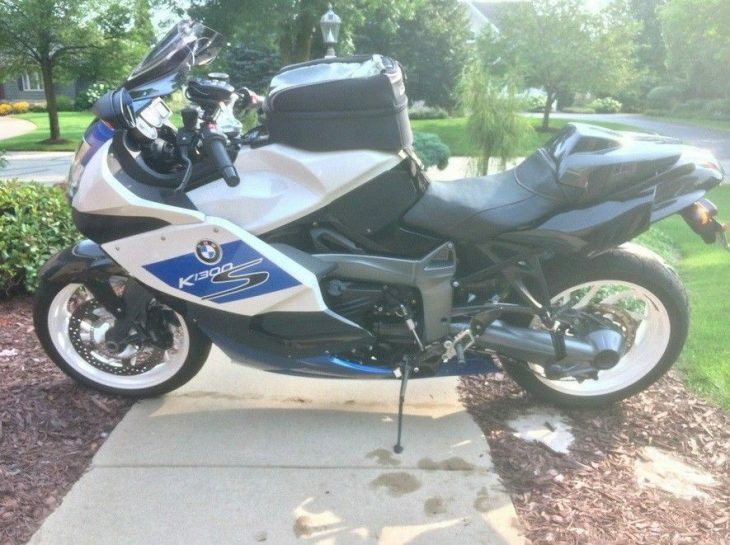 For 2008, BMW increased the bore of their almost-1200cc inline four to arrive at 1293cc. Double overhead cams, four valves per cylinder, and digital electronic fuel injection conspire to make 173 hp, with 103 ft.-lbs. torque peaking at 8,250 rpm. It's a long reach out to the adjustable handlebars, but the factory rear-set pegs are a help. 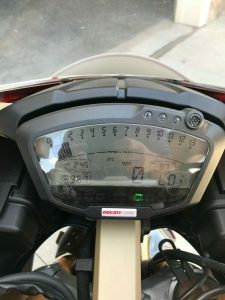 The Duolever front end and shaft drive are chapter and verse from the BMW hymnal, but you can select the mode for the HP's ESA electronically adjustable suspension on the fly. ABS and traction/stability control are on-off only, and tire pressure monitoring completes the car-like spec sheet. 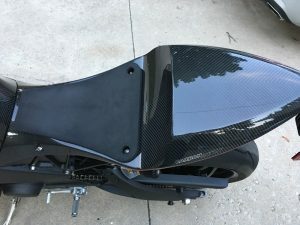 Carbon is there for the mudguards, airbox ( i.e. 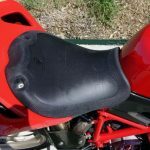 tank ) cover, clutch cover, and seat console. 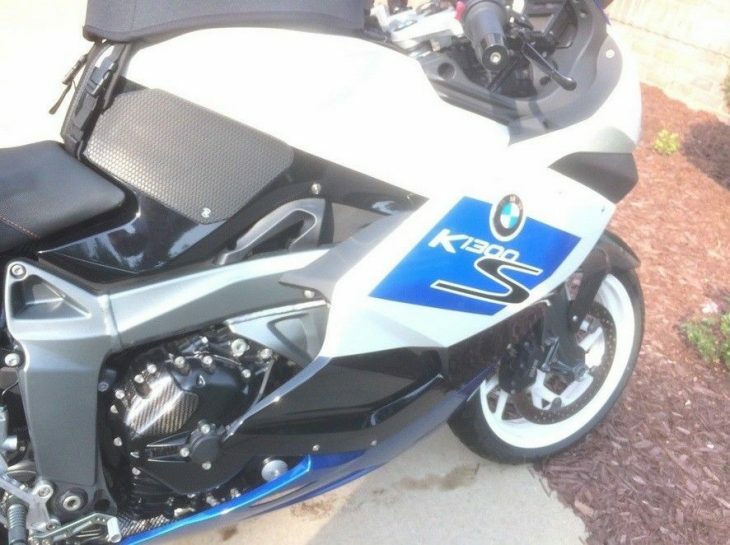 2012 K1300S HP limited edition number 215 out of 750 in excellent condition with only 9830 miles. New Continental Sport Attack tires with 300 miles on them. Comes with ESA, ASC and ABS. 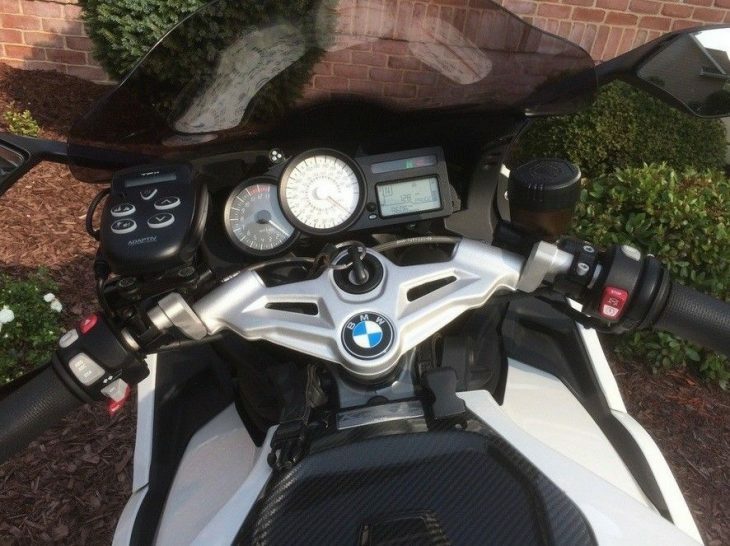 Gear shift assistant-heated grips, BMW tank bag and clear and smoked wind screens. Leather gel seat for those longer rides. 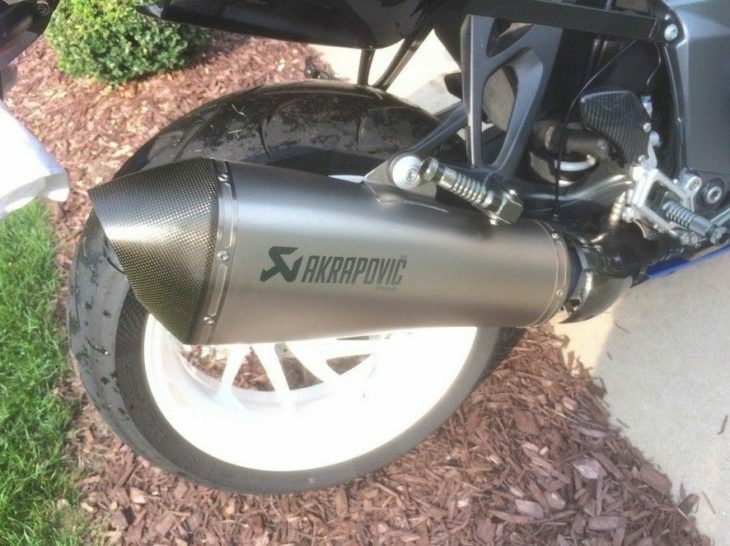 Akrapovic exhaust, radar detector (adaptive technology and the white powder coated wheels round out this great motorcycle. Never been down. I have the clean title in hand. 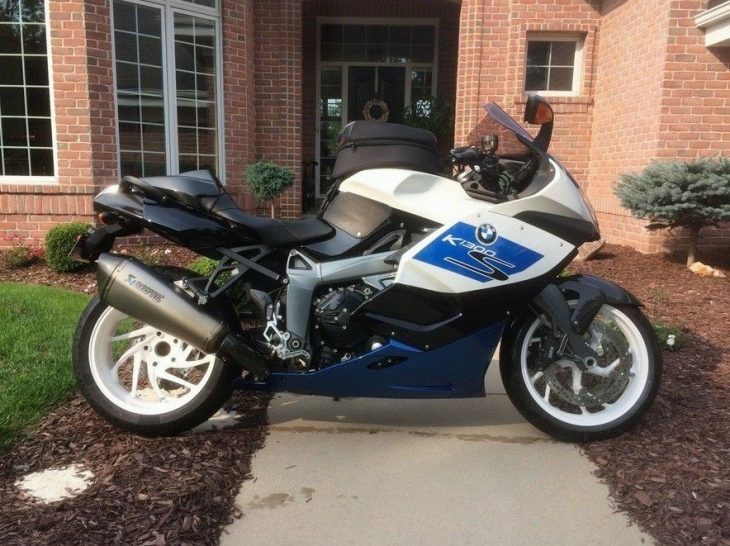 Buy it now and I will throw in a rear BMW wheel stand and a BMW battery charger. 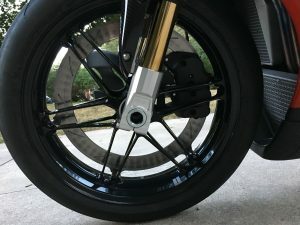 Erik Buell regrouped after Harley retired the brand and began as he had before, with a racebike design followed by a flagship superbike, followed by a more affordable machine. The 1190RS was their big money racer-with-lights, with direct lineage from the -RR. Though 2012 was the introductory year, a few were made for 2013 as the company transitioned to the -RX. 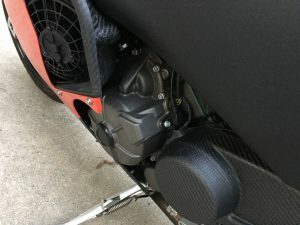 Buell had peeked over the engine horizon in 2007 with the 1125cc Rotax-based engine, and the 1190 was a descendant, a 72-degree V-twin with four chain/gear-driven cams. 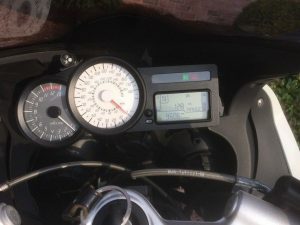 Channeling 175hp through two small contact patches requires electronic intervention, with 21-setting traction control and a vacuum-actuated slipper clutch. 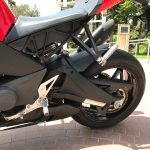 Classic Buell concepts such as fuel-in-frame, ZTL front brake, mass-centralized muffler, and oil in the swingarm are all present. 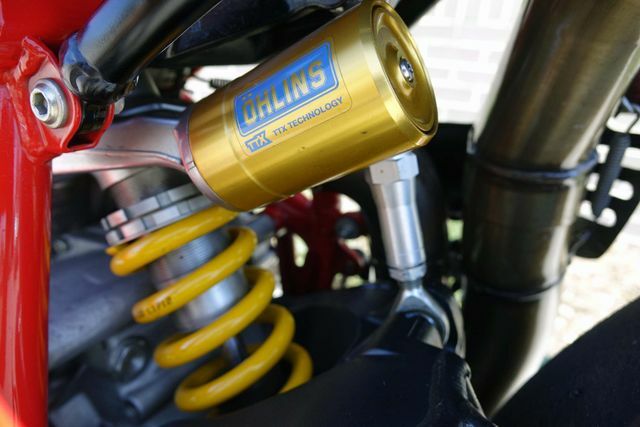 Öhlins turned to their racing department for the 43mm cartridge forks, and twin-tube rear monoshock. 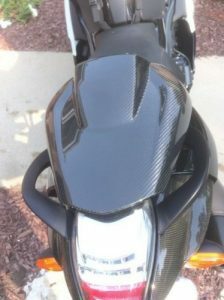 The bodywork for the carbon edition is hand-laid and gorgeous, and helps the 1190RS stay under the 400 lbs. mark. No. 7 of 35 2013's. New MSRP, set-up like this was just over $50,000. Original owner. 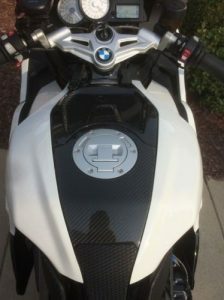 Factory race exhaust (Euro) with 93 octane race ECU; extra carbon rear fender; lots of Ti and a Lithium Battery Tender. 500 miles +/-. Gentle street break-in miles only. Not quite fully broken-in. 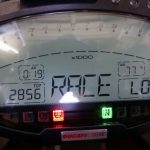 I am a retired championship winning racer/mechanic and treat my bikes with respect. Comes with all original parts as well as an uninstalled full Bazzaz system with the quick-shifter and remote. Comes with all the original parts. I uncrated it last fall. It has never been in the rain. It has always been garaged or in my living room (all last winter). The engine is hand-built and full of exotic parts. This is literally a race-bike - with lights and mirrors. 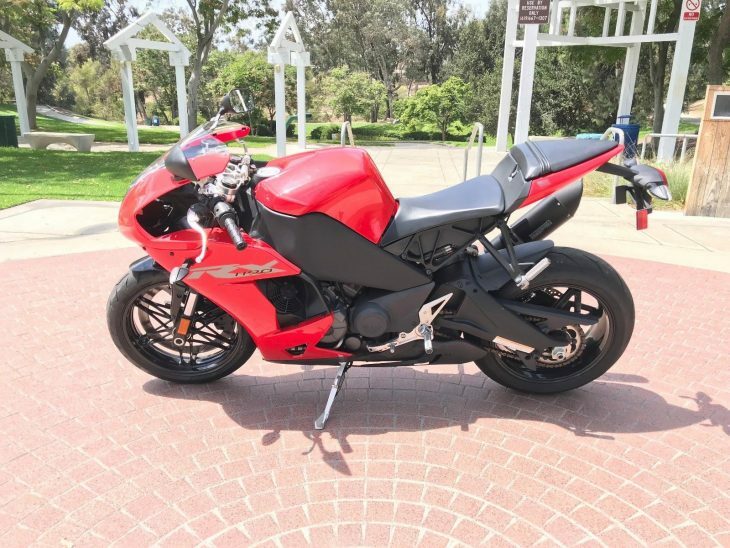 It has the most immediate power delivery of any street bike that I've owned (of well over 100). Original MSRP for replacement engine is $27,000+. 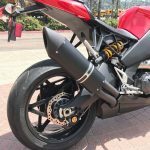 The suspension is from Ohlins' race catalog - not the normal street and track line which is less exotic. Excellent condition. One tiny stone chip in the clear coat. I will include a 1/2 case of the required AMSOIL full synthetic racing oil and filter for the break-in service. Also all of the stuff that came with it including EBR tie-downs and the EBR crate tarp. 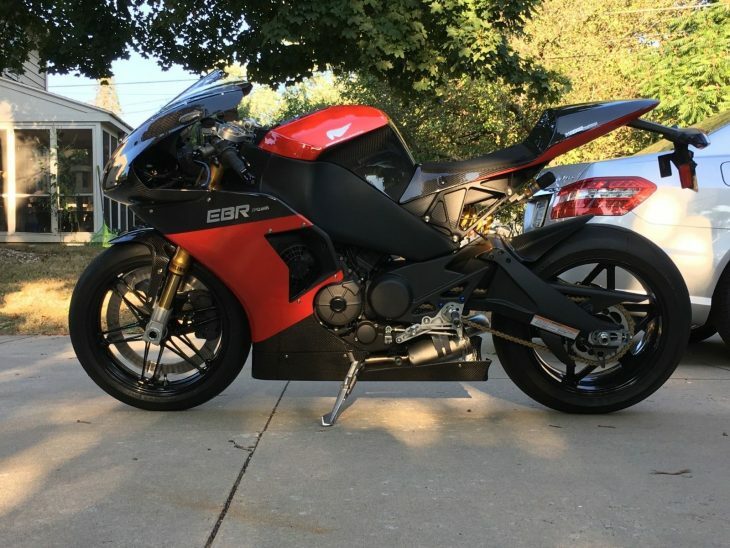 Erik Buell Racing had to provide a toned-down version of their flagship 1190RS superbike, since even their managers couldn't afford the RS. 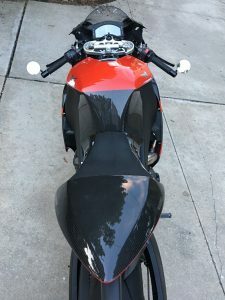 The 1190RX has some of the expected Buell innovations and a refreshing level of tech compared to earlier offerings. 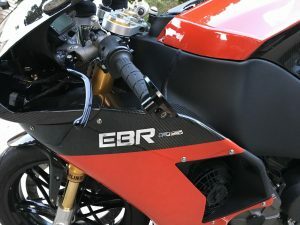 Buell had earlier turned a corner and used a Rotax-based engine for their 1125 series, and continued development resulted in the 1190cc engine adopted by EBR, delivering 185 hp and 102 ft.-lbs. torque. Fuel is in the formed aluminum perimeter frame, and the "tank" holds the airbox. 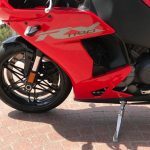 Showa has provided the big piston forks and a more conventionally configured monoshock. 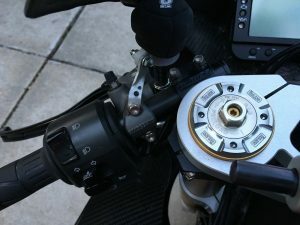 It would be news if an EBR machine did not have the zero torque load front brake, this one might be the pinnacle of the design at 386 mm with an 8-piston caliper. Electronics jumped the shark to this model, with an LCD dash and traction control configurable on the fly. There only about 1200 EBR's made worldwide. This one is production #26. 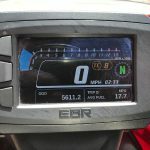 This is a 2014 model EBR 1190RX. Makes 185HP and 101TQ. The bike just hit 5,600 original miles and runs perfect. 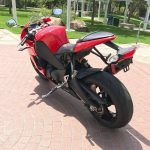 The power and torque delivery on this bike is crazy! 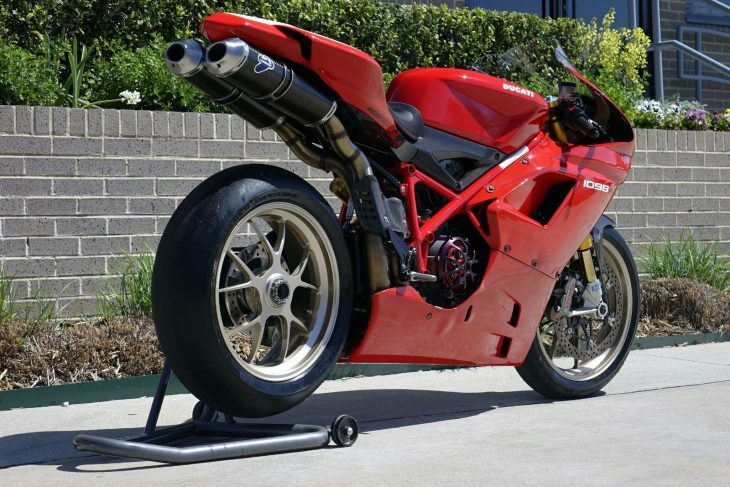 This bike goes head to head with the Ducati 1199. It has interesting features like all LED headlight, the fuel sits inside the aluminum frame and airbox is on top. 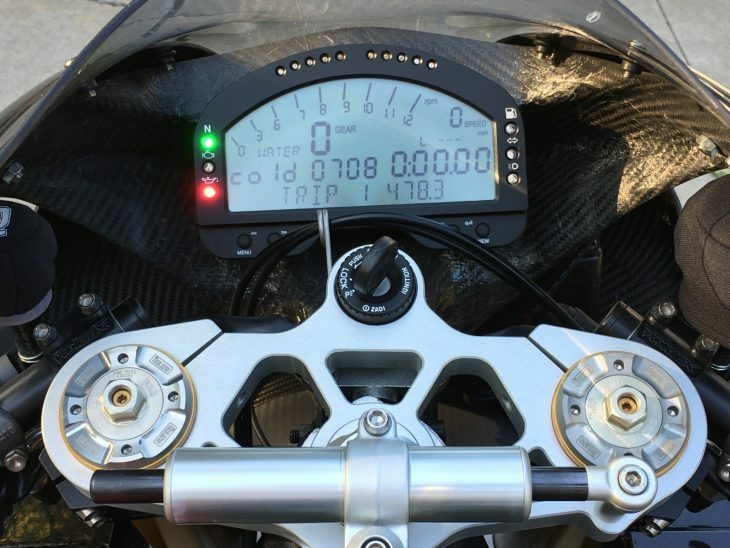 The bike also has traction control and different track modes. 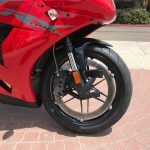 There is a single sided front brake rotor and single caliper and stopping distance shorter due to the size of the bigger rotor. 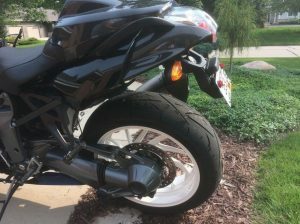 The bike is in pristine condition and only has your normal wear. 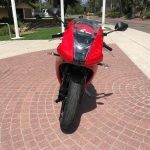 The bike does come with a California rebuilt salvage title from previous damage to the right side plastic. Damage was minor and have pictures to show. 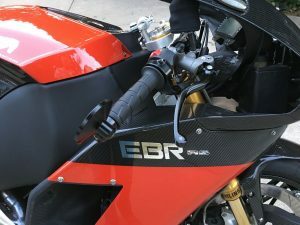 All the parts were special ordered from EBR. 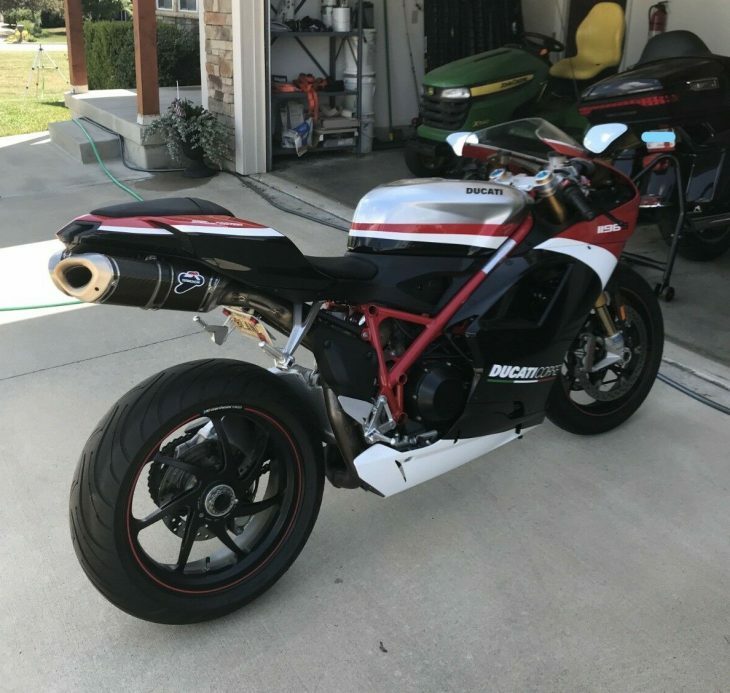 To some, it might seem like sacrilege to take a gorgeous, expensive, limited-edition Ducati superbike and turn it into a trackday toy. 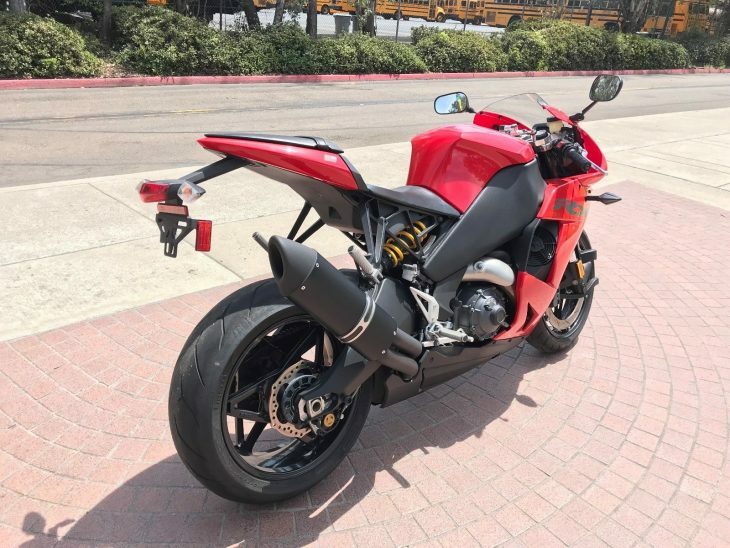 But if you've got the money to spend on something you can afford to wreck and want the very best, you can't go wrong with today's Ducati 1098R track bike. 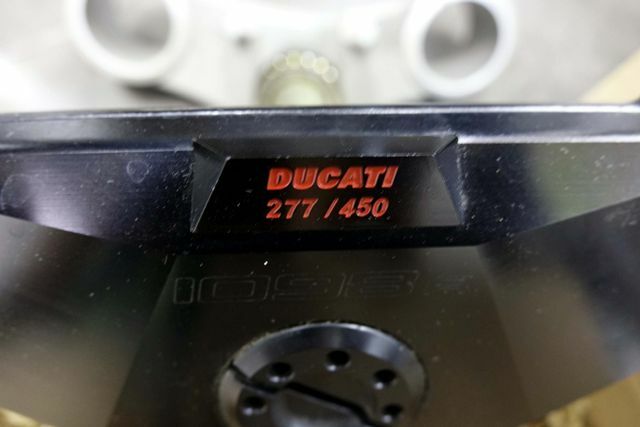 Honestly, homologation-special Ducatis don't really make practical roadbikes anyway: their uncomfortable ergonomics, race-bred handling, and ridiculous power only makes sense in an unrestricted environment. History I'm sure will be kind to the Terblanche-styled 999. But at the time, the successor to the storied 916 was a relative sales flop, in spite of it being better in virtually every way. Power was up, electronics were more sophisticated, and the solo seat models even offered adjustable ergonomics. 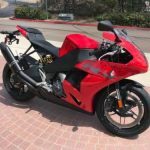 Unfortunately, the restyle went just a bit too far for Ducati's conservative fan base, but Ducati quickly learned their lesson. 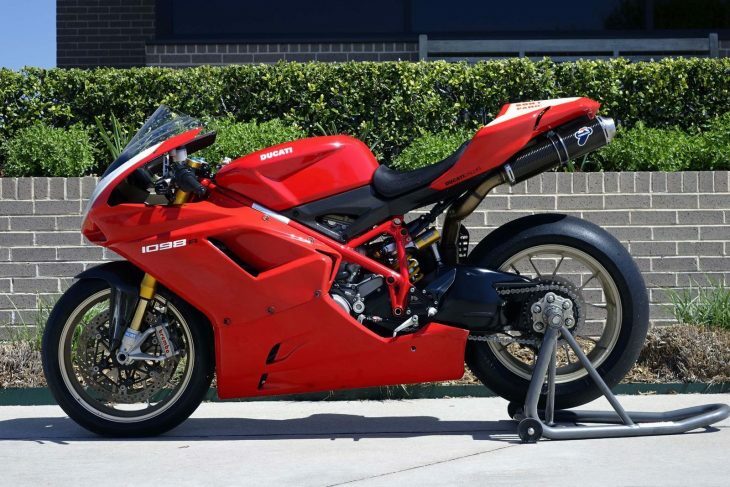 The 1098 that followed was really Ducati walking back their radical mandate, at least in terms of styling. It's a good-looking bike, but obviously kind of derivative, which was really the whole point after all. 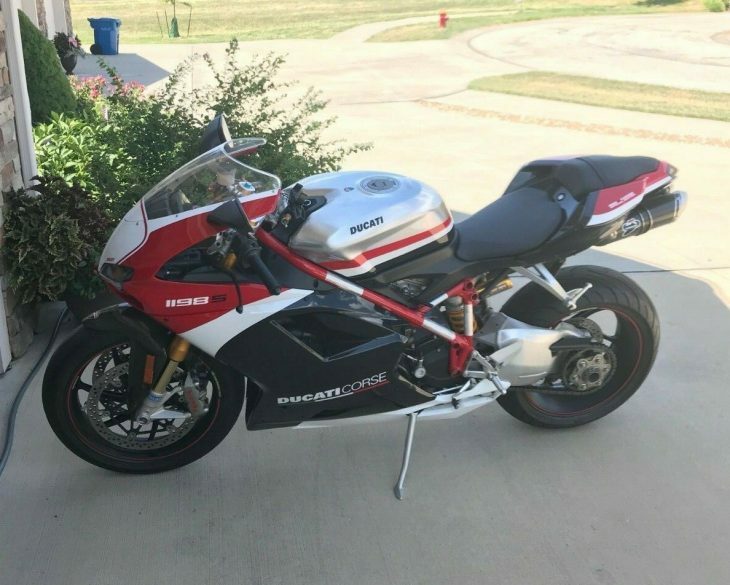 It may be my least favorite Ducati superbike, but apparently I'm crazy because I know more than a few guys who love it unreservedly. And you can't argue with the performance: in ultimate, 1098R form seen here, the v-twin pumped out a claimed 180hp, a huge jump over the earlier bike. A big bump in displacement certainly helped: the 1098R actually had a larger 1198cc engine to exploit the full displacement allowed by World Superbike regulations at the time, an interesting reversal of the more recent Panigale 1299R that displaces less for the same reason... Aside from the bump in displacement that resulted from a larger bore and shorter stroke, the R also used titanium valves and connecting rods to help the bike rev higher. 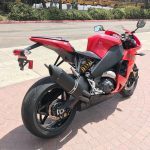 And while the 180hp is basically the minimum required for entry into the literbike club these days, the massive 99 lb-ft of torque should be enough to widen eyes everywhere. 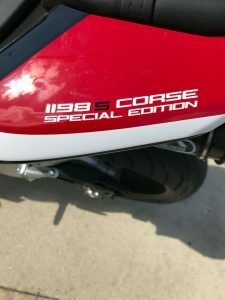 Possibly the most significant aspect of the 1098R, aside from its competition-derived engine, was a race kit exhaust and ECU "intended for off-road use only" that liberated an additional 9hp and also activated the revolutionary Ducati Traction Control system with 8 levels of adjustability. 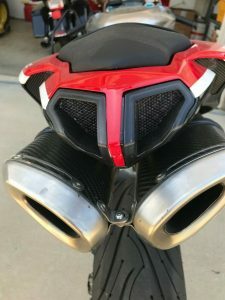 It was relatively crude, compared to today's systems, but was undeniably effective and was used on Ducati's MotoGP and WSBK machines of the time. 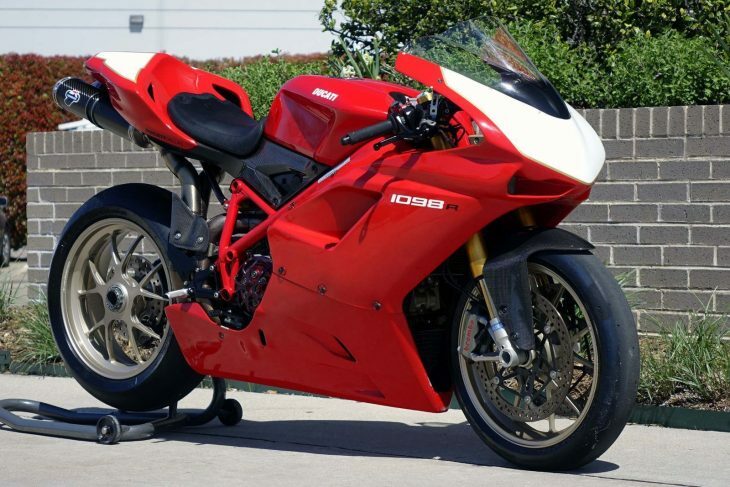 The 1098 R is the ultimate Superbike. The most advanced, most powerful twin-cylinder motorcycle ever built. It is the product of a team of designers and engineers focussed on one objective only – to win. The ‘R’ is a race bike, pure and simple. Its competition specification and superior components together with advanced electronics and race-proven chassis technology deliver a level of performance that empowers you with confidence and capability. 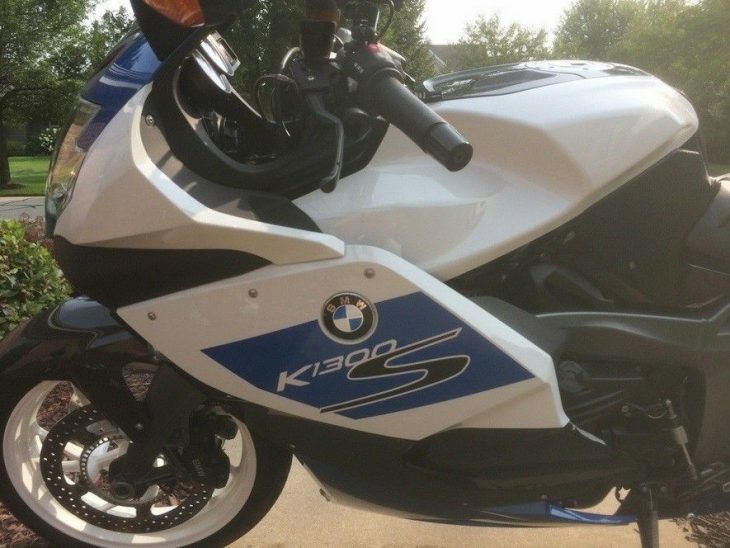 On the road, it distinguishes you as a connoisseur of high-performance motorcycles. On the track it promotes you to a higher level of riding and closer to realising your dreams. World Superbike rule changes mean that the road-going ‘R’ version is closer than ever to our factory race bike. 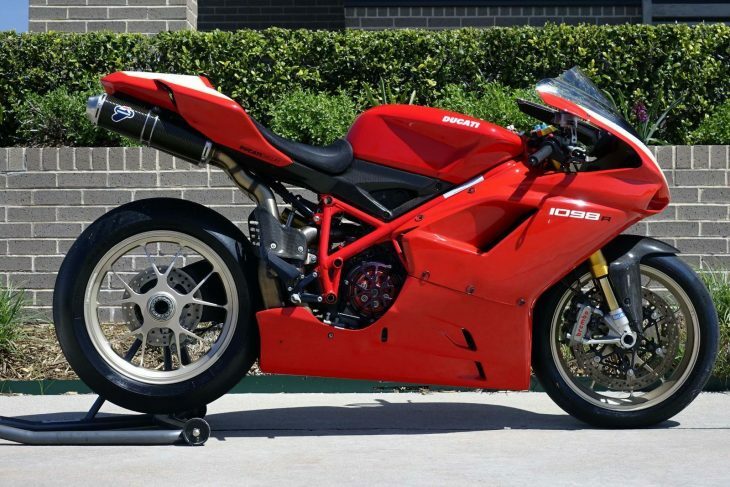 The 1098 R is not a replica – it’s the real deal. An incredible 180hp L-Twin Testastretta Evoluzione engine in a race-winning Trellis chassis set-up tips the scales at an unbelievably lightweight 165kg (364lbs) and comes with a race kit that introduces Ducati Corse’s world championship winning traction control system. Once again, Ducati raises the bar and sets the world standard for sport bikes while turning the heads and racing the hearts of enthusiasts throughout the world. If you have a need for speed, then this is your answer. 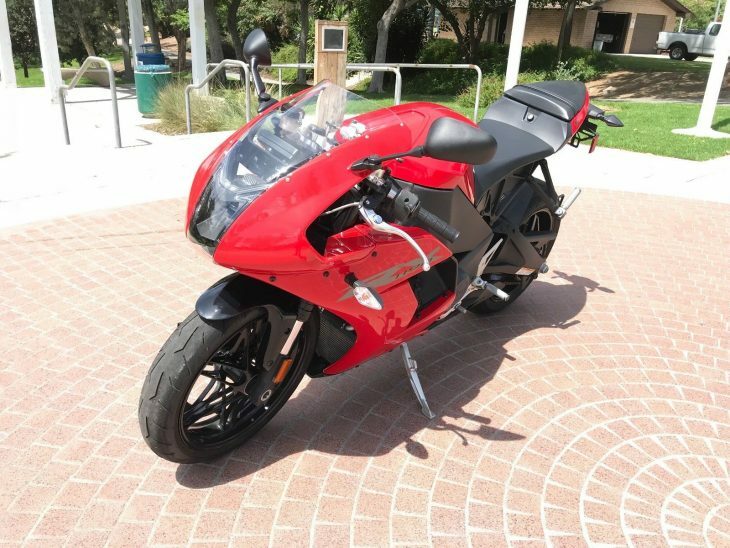 This motorcycle was bought stock from the Ducati Dealership in 2012 when it had only 331 miles. The previous owner has upgraded numerous parts over the past few of years. I do have most of the original parts here in a box. The bike does have a couple minor scratches and chips (most have been professionally touched-up). Normal wear items for a track bike. This 1098 has always been serviced at the Ducati Dealership. 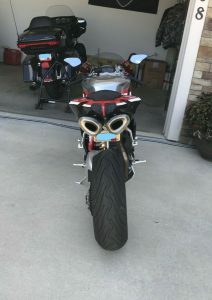 Please understand; THIS IS A TRACK BIKE, not a street bike. The Buy It Now price for this low-mileage, race-ready homologation special is a reasonable $19,995. That's less than other 1098Rs we've seen, but of course it's likely to see a harder life than most and that's going to make it less desirable to collectors. 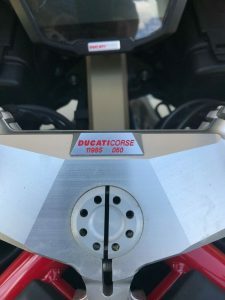 180hp and primitive traction-control seen here might not sound all that impressive, in this age of the cornering-ABS-equipped, up-and-down quickshifter-ed, traction-controlled, 206hp at-the-wheel Panigale 1299R Final Editions. 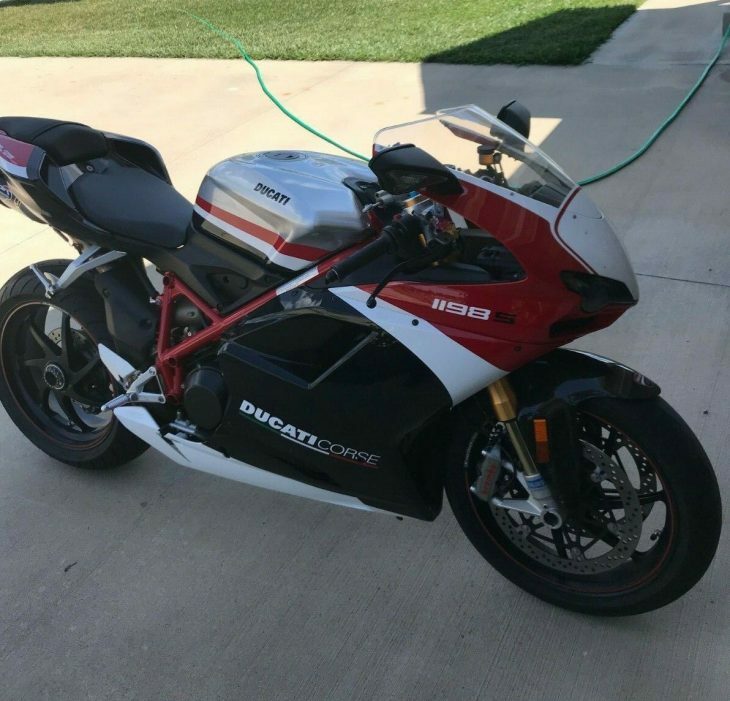 But this 1098R most definitely is a very significant and collectible homologation-special Ducati from the dawn of the Electronics Era, when rider aids shifted [see what I did there?] from simply improving safety to making riders faster. 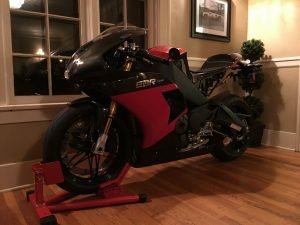 If you've got the cash to splash, this is a pretty cool way to get your trackday kicks, and a race track actually seems a more appropriate place for a 1098R than collecting dust in some collection.